The Big Brush Company is armed with an extensive wealth of knowledge, experience, and passion. With more than two decades of combined industry experience, The Big Brush Company created a line of innovative nano-silver, anti-static, and ionic brushes, along with specialty blow-dry kits, that are changing the way we think about hair care. Unique detangling comb, created to be paired with our masques, treatments and stylers. 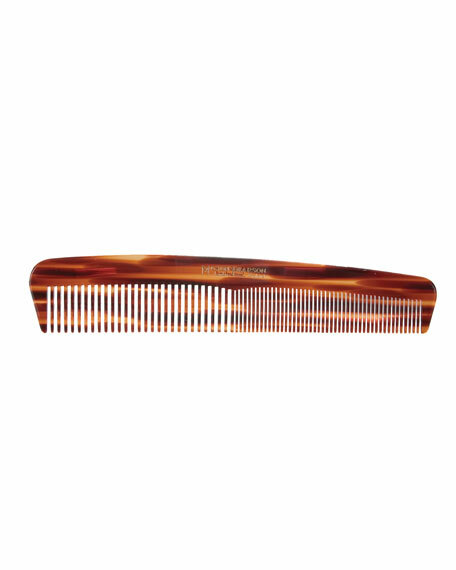 State-of-the-art design makes it easy to grip and to gently detangle and comb through hair. Will not catch or snag hair.